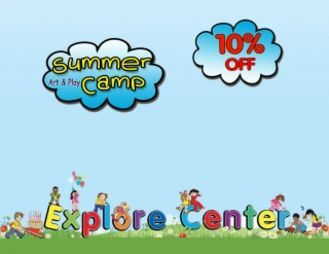 The ultimate goal of Explore Center’s Camp Team is to ensure that your child has the most enjoyable experience possible and that your child takes away many fond memories of his or her camp experience. Physical activity strengthens their hearts and helps kids maintain a healthy weight and healthy blood pressure, which may lower their risk of developing heart disease and stroke as they age. It’s beneficial to start early, as active kids are more likely to become fit adults. Beside physical activities, kids would benefit from learning arts while creating new thing. Rain or shine, we are here to learn and have fun!